Everybody loves more RAM, especially in their Android smartphones and tablets. Because seriously, can we have some more? I'll take whatever you can give me. 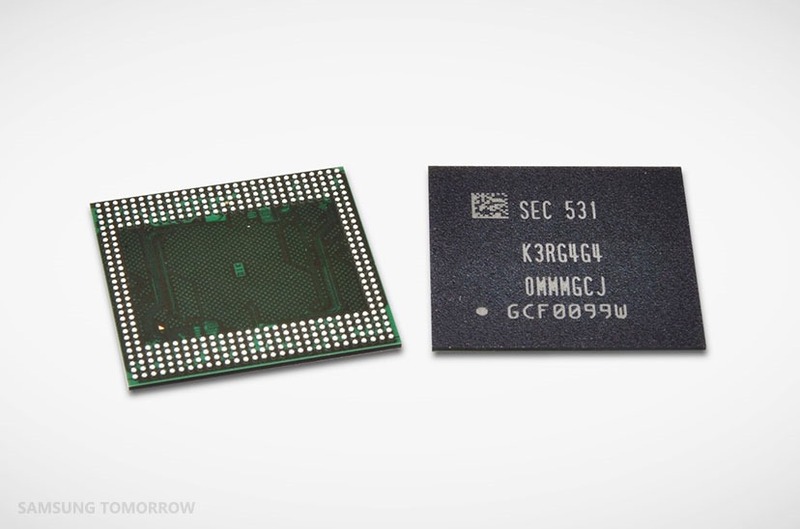 And today, Samsung is continuing in its grand tradition of responding to that demand with a brand-new DRAM design that squeezes 12Gb (not to be confused with GB) onto each chip, for a maximum of 6GB (again, not to be confused with Gb) of total memory in the package. Samsung claims it can fit that 6GB in the space that is required for 3GB currently, so no extra room is needed. The new chip is also 30% faster than Samsung's older 20nm-process 8Gb chips, and Samsung claims they'll be able to produce in significantly greater quantities thanks to manufacturing changes. The RAM is, of course, on the LPDDR4 standard, which is highly efficient but also blazing-fast. Samsung expects the new 12Gb chips will find their way into smartphones, ultraportable laptops, and other devices "in the coming years."